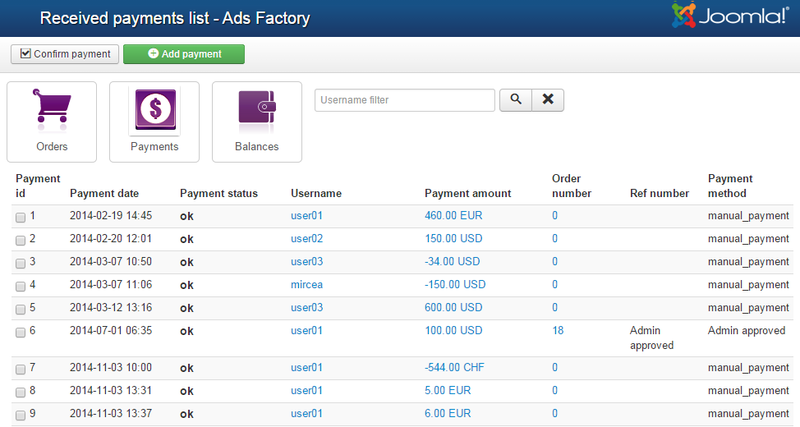 Ads Factory offers webmasters multiple revenue streams that can be managed with ease from the backend. For an in-depth documentation regarding the available payment items and gateways please visit this page. 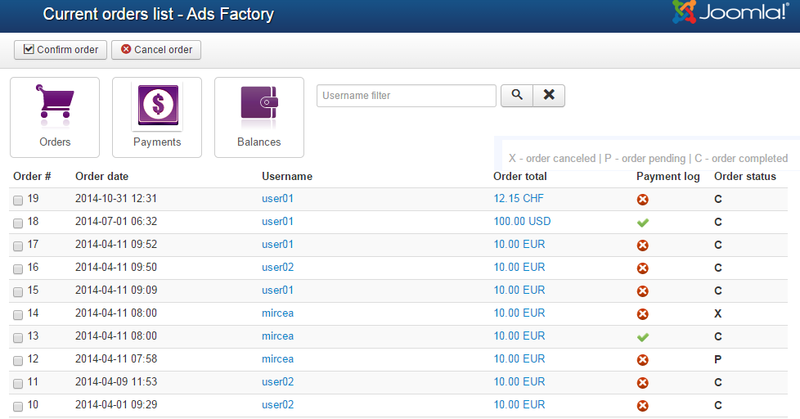 A Filter is available that helps you to find payments made by a specific username.